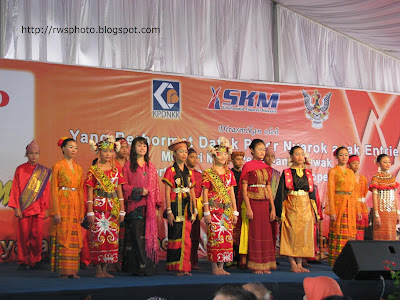 Photo collection of cultural dance performed during the launching of the Cooperative Fest 2009 in Kuching, Sarawak. The event was organized by Suruhanjaya Koperasi Malaysia (SKM) Sarawak and officiated by YB Datuk Peter Nyarok Entrie, Menteri Muda Pertanian Negeri Sarawak. The cultural troupe from the local performing arts school. 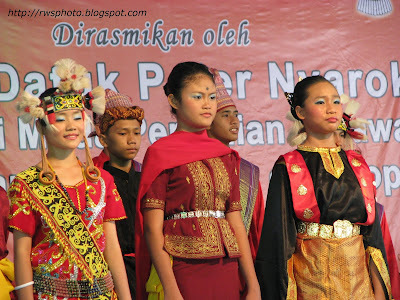 Left: A girl in a traditional Bidayuh costume. 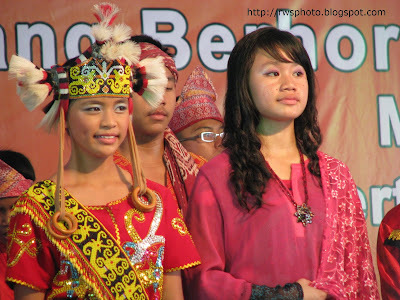 Right: A girl in a traditional Orang Ulu costume. Her elongated ears are fake. The Ngajat dance led by the Iban warrior. 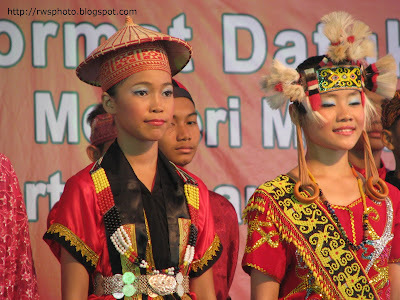 Iban maiden in a graceful dance. Left: Orang Ulu maiden. 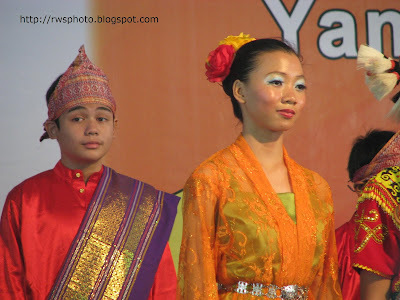 Right: Malay maiden. The photos above refer to the cultural show before the event was officiate by the Minister. 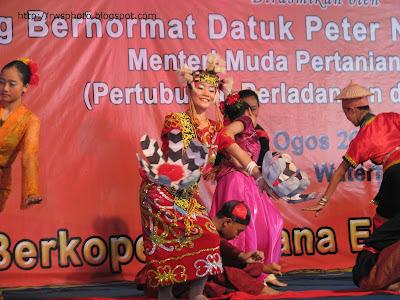 During this event, various activities was held near the Kuching Waterfront, which include Cooperatives exhibition, cooking competition, flowers arrangement competition, poco-poco, stage show, Traditional Ratu Kebaya pageant, etc. 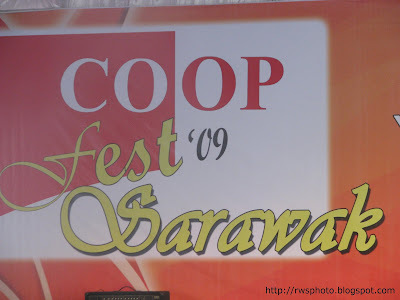 The Coop Fest 2009, Sarawak was held from August 07 until August 09, 2009. 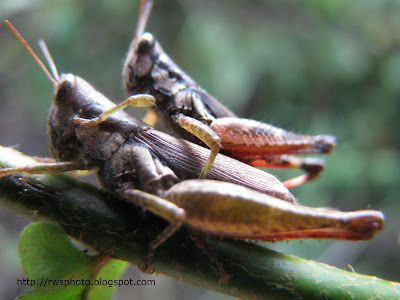 This is the 4th series on topical locusts. 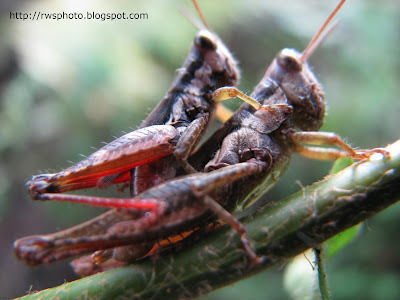 Shown below is a mating locust couple. Different postures, different places but the same couple. Note the tiny spike on their limbs. 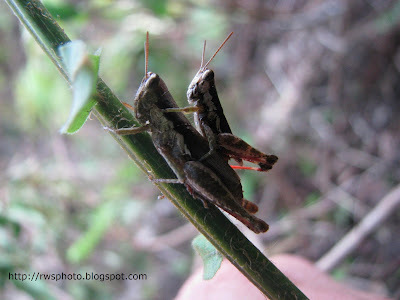 Mating locusts on a fern stem. 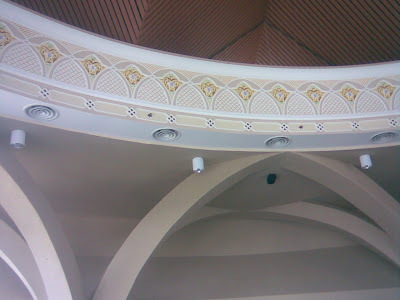 Photos of Surau at the new Sarawak DUN Complex. The Surau, an annex building of the new Sarawak DUN Complex. Photo by HPE. 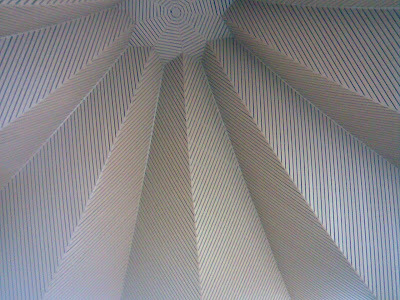 The Surau ceiling top. Photo by HPE. 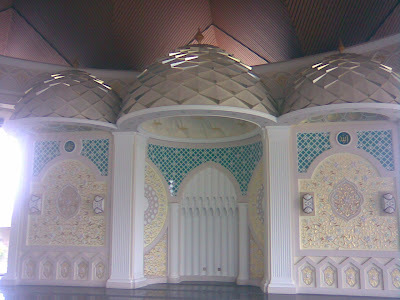 The Surau architectural designs. Photo by HPE. The Surau wall. Photo by HPE.